You can imagine these friends around this table filled with wonderful-smelling food, telling stories and laughing together. And then Mary gets up and picks up this beautiful jar full of expensive perfume. 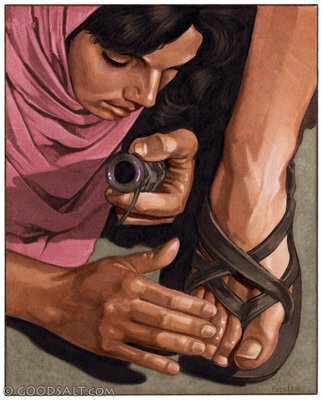 She pours it lavishly on Jesus’ feet not caring how much she used. The smell of the perfume fills the room. And Mary kneels all the way down and wipes Jesus’ feet with her hair as it spills onto the floor. This story is one of the few that occurs in all four canonical Gospels. But it is never told the same way twice, illustrating once again that the Bible was not written as a simple historical narrative but rather a way to connect us to God and to each other. The Gospel writers place the event at different times and the woman herself is not always even identified. But the fact that costly perfume is extravagantly poured on Jesus is always the same. And the fact that those present thought that the use of it was a complete waste is also noted in every account. Now remember that anointing was not uncommon in this society. There are many accounts of the anointing of kings at their coronation and priests were anointed when they were ordained. So it is more and more apparent that those present just don’t get it if they are only worried about how much the act may cost. Who did they think Jesus was at this point if they did not see him worthy of the same treatment as a king or a priest? Those who should be “anointing him” as their king, those who should be recognizing him as “The Anointed One”, in Hebrew, “The Messiah”, are the ones that miss it all together. But this woman, this woman who some of the Gospel writers allow to go unnamed, got it. She knew who Jesus was and she knew that the hour of his death was fast approaching. Because the love of Jesus was deeper than this world could handle. It was a love that the world had never seen. In The Gospel According to John, this story comes right after Jesus raised Mary and Martha’s brother, Lazarus, from the dead. The dinner was perhaps served in gratitude for what Jesus had done for this family. The ironic thing is that it was this very act of raising Lazarus that has brought Jesus closer to his own death because it is for this that many are looking to arrest and try him. But most of those at the dinner don’t know that. They are just enjoying their meal, oblivious to what is down the road. And for Mary, none of that mattered anyway. The love that she felt for Jesus just made all those things meaningless. She was truly overcome with love for Christ. And she wanted him to know that she got it. And so this act of extravagant generosity, this act of deep, incredible love, the kind of love that Jesus gave, becomes a sort of living embalming, an act that showed Jesus that Mary was with him on his way to the cross— to see, to hear, to smell, to touch, to feel, to laugh, and to love—those are the ways that we connect with one another, those are the ways that we come to life. You can’t help but listen to the story of Mary’s anointing without hearing the same thing. Think about some of the language—Mary took, poured, and wiped. We will hear those same words this Thursday in the account of Jesus’ last meal: Jesus took the bread, poured out the wine, and wiped the feet of the disciples, and through these common gestures and such common touch, Jesus shows us what true love is. And as Mary takes, and pours, and wipes, she shows that same love toward Christ, and this small crowded house in Bethany becomes a cathedral and this simple meal becomes a Eucharist. Through her touch, through her love, the ordinary becomes sacred. Mary enters Jesus’ life and he becomes part of her. Her life becomes a sacrament that shows Jesus’ love to the world. And the whole world is now forever filled with the fragrance of that perfume. 2) Where would you find yourself in this story? 3) What is it that stands in the way of our pouring all that we have out at Jesus’ feet? But now is the time for the Son of Man to be glorified. For, as Jesus says, unless a grain of wheat falls to the earth and dies, it remains just single lone grain, worth nothing; but if it dies, it bears fruit and lives on. You see, wheat is known as a caryopsis, meaning that the outer “seed” and the inner fruit are connected. The seed essentially has to die so that the fruit can emerge. If you were to dig around in the ground and uproot a stalk of wheat, you would not find the original seed. It is dead and gone. In essence, the grain must allow itself to be changed. So what Jesus is trying to tell us here is that if we do everything in our power to protect our lives the way they are—if we successfully thwart change, avoid conflict, prevent pain—then at the end we will find that we have no life at all. He goes on…”Those who love their life lose it, and those who hate their life in this world will keep it for eternal life. Whoever serves me must follow me, and where I am, there will my servant be also. And whoever does this, God will honor.” This is the only time that the Gospel speaks of God honoring someone. And we begin to see the connection unfolding. Whoever follows Jesus through his death, will become part of his everlasting life. Jesus wanted us to understand not just that he was leaving, not just that his death was imminent, but that this journey to the cross was not just his to make, but ours. Now is the time to walk with Jesus to the cross. And yet, we still struggle with the whole meaning of the cross. We still struggle over why Jesus had to die at all. Why couldn’t Jesus just figure out a way out of this whole sordid thing and stay around? The world needed to hear more from him. Because then it just would have stayed a seed. But, you see, because Jesus was willing to die, was willing to be changed; God could raise him from the dead and give fruit to the world. And the cross…whether you believe that God sent Jesus to die, or that human fear and preoccupation with the self put Jesus to death, or whether you think the whole thing was some sort of colossal misunderstanding…the point of the cross is that God took the most horrific, the most violent, the worst that the world and humanity could offer and recreated it into life. And through it, everything—even sin, evil, and suffering is redefined in the image of God. By absorbing himself into the worst of the world and refusing to back away from it, Jesus made sure that it was all put to death with him. By dying unto himself, he created life that will never be defeated. And in the same way, we, too, are baptized into Jesus’ death and then rise to new life. 2) What does the cross mean for you? 3) What does it mean to “die to self” and what stands in the way of you doing that on this holiest walk to the Cross? This passage is indeed a difficult one. Look how it begins…”Jesus was troubled in spirit.” He knew. He knew that a friend would betray him. It made him angry and indignant. But, more than that…it had to hurt. That has to be one of the worst pains imaginable. Because…think about it…betrayal is not something that you do to a stranger. You do not speak of inadvertently cutting someone off in traffic as a “betrayal”. For, you see, betrayal…true betrayal…is a deep-cutting blade that that can only cut into the closest of relationships. As painful as it may be, betrayal only happens in the midst of true intimacy. And that is the most painful of all. “Very truly, I tell you, one of you will betray me.” What? The disciples looked at each other flabbergasted. NOT one of us. (And even if it was one of us, it is certainly not I. Maybe him or him or him. But I KNOW it’s not me! I love you! You are my Lord!) So Simon Peter leans in…Jesus…come here…come on, you can tell me…who is it? And Jesus, with perfect parabolic eloquence responds…It is the one to whom I give this piece of bread when I have dipped it in the dish. And then he hands it to Judas. Do quickly what you are going to do. But the disciples didn’t get it. Well, of course not…because it really doesn’t make sense. So they began speculating. You know what I bet he really MEANT to say? He MUST have been telling him to buy something for the festival or to give something to the poor. (After all, just a few days ago, Judas was worried about the poor and why money was not being spent on them rather than on the extravagant anointing of our Lord!) NOW it makes sense. Because NONE of us could betray Jesus. And so the other disciples are removed from the betrayal, relieved of the blame. Madeleine L’Engle contends that “if we are brave enough to accept our monsters, to love them, to kiss them, we will find that we are touching not the terrible dragon that we feared, but the loving Lord of all Creation.” And yet, for centuries, Christians have been deeply bothered by Judas and the account of his betrayal of Jesus. We have let the other disciples grow up to be heroes and saints but Judas, the quintessential “bad seed,” is relegated to the hell pile. It was just a kiss. But it was the kiss of betrayal. And so, poor Judas is forever the monster of monsters, the dragon of dragons. But did we ever stop to ask Judas why he did that? Perhaps he really was bad. But maybe…just maybe…maybe Judas thought he knew best, thought that he could prove that he was on the “winning side” when Jesus, hero though he was, saved himself from death. Maybe Judas just got a little overzealous in trying to prove himself right. We don’t want to consider that because then we might see ourselves in the dragon. I actually feel sorry for Judas. I mean, don’t you think the world is a little too quick to jump on him and portray him as the son of darkness. In fact, Dante places him in the 9th circle of the inferno (along with Brutus and Brutus co-hort, Cassius). And we are ready to follow along and release the other disciples from any wrongdoing. (After all…it was apparent, they really didn’t get what was going on anyway!) But, as I said earlier, this WAS a sign of intimacy. Judas did love Jesus. Think about this as a possibility: Soldiers come to Judas in the dark of night. This had to be scary. After all, the tension of the week is mounting. “Show us Jesus; show us your Lord.” Judas hesitates. “Why are you afraid? Because if Jesus really IS Lord, he can prove it…he can get out of it…just show us. And here…here’s some money for your trouble.” You know, thinks Judas, they’re right. He is Lord. He can get out of it. 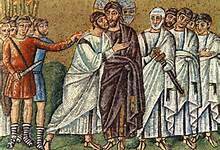 And then, as the writer of Matthew’s Gospel account depicts, when Jesus was condemned to death, Judas could not face himself. What had he done? How could he live with it? How could he ever be forgiven? And so he hanged himself, a victim of his own choices and his own action. In her book, Speaking of Sin, Barbara Brown Taylor contends that “sin is our only hope, because the recognition that something is wrong is the first step toward setting it right again.” What she says is that most of are willing to accept a little of what is wrong in the world as “part of life”. But that if we decide to call it sin, decide to call it betrayal of the human condition, then we’ve already made a radical shift in our perception of reality. We’ve already begun the journey toward forgiveness. The point is that innocence doesn’t really exist at all. We are not called to stay innocent; we are called to choose God. They are not the same thing. But choosing God means looking at ourselves square in the face and looking at our lives for what they really are and what they are really missing. It means reconciling with God, with others, and even with ourselves. As Taylor says, “we like to think of forgiveness as a giant eraser on the blackboard of life.” But that’s not the way it works. Forgiveness is the starting place, not the place where we end. It is God’s gift to those who choose to begin again, but where we go with it is up to us. That is the crux. None of us are innocent. All of us are forgiven. 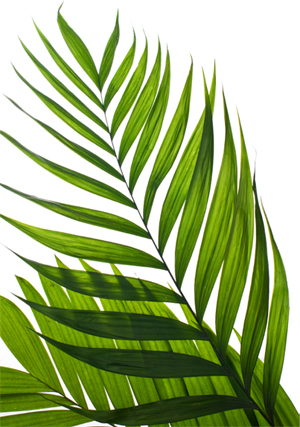 Holy Thursday does not end in betrayal; it ends in love. Perhaps rather than trying to lay blame for what happened at the Cross, perhaps rather than using Judas as the scapegoat for all of our own sins, we should let the Cross be what it is—a place of healing, a place of reconciliation, a place of forgiveness, a place of life recreated. Because of the Cross, all of us are invited to the table. 2) Why are we so bothered by the idea of Judas? 3) Who do we label “betrayers”? What meaning does that hold for you? 4) What does it mean to be innocence? 5) Is it more important to be innocent or forgiven? The loving God part is something that, intellectually, we understand. We’re supposed to love the one who created us. But what does that mean? If God loves us, why does God want us to surrender those things that are important to us? Why does God want us to give up everything that we have, everything that makes us who we are? The reason…is that God wants us to be who we were created to be. And part of who were created to be is a creature who gives of oneself radically, completely, just as Christ did. But this washing feet thing…what is that about? Feet are personal; feet are intimate; touching someone’s feet is an act of love, isn’t it? Exactly. The first time that I participated in a symbolic footwashing on Maundy Thursday, I was reticent. Would this be uncomfortable? But kneeling down, taking someone’s feet in my hands, pouring water, and gently caressing them was nothing like I expected. I felt in those feet where they had been; I felt in those feet the lines of the paths they had walked; I felt in those feet the pain and the joys that they had experienced in their lives. There is an alternative medicine form called reflexology that has been around for as long as 5,000 years. It’s claim is that the foot carries patterns of what the rest of the body feels, what the rest of the body experiences. I don’t really embrace it, although it’s interesting. I will tell you, though, that it may not be that far off. Our feet connect us to others. They touch the earth; they carry us; they lead us into new experiences. Our feet are the first to feel cold, the first to feel the warmth of the earth, the first to step into a hot bath, the first to brave the chill of cold water. They are the first off the step in the morning. And they are the first that carry us to our next point on our journey. Maybe this is what Jesus knew—that by washing the feet of those whom he served, he was cleansing the world that was connected to them and setting them on their path. I guess after he finished washing their feet, they finished the meal. They ate the bread; they drank the wine. Essentially, Jesus cleansed the world and then gave of himself as sustenance. We are called to be self-giving, to give all that there is of us to God and to others. And when we are emptied of all that we think we are, Jesus says, “Take, eat…fill yourself…eat and drink all the sustenance that you need…in remembrance of me. 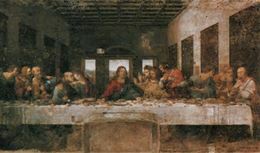 After this meal, the Scripture says that Jesus took several of the disciples and went down to the Garden of Gethsemane. They had had a meal together, had communed with each other and now Jesus wanted to show them what it meant to commune with God. I don’t think he took the disciples because they were ready; he took them because he wanted them to understand; he wanted them to be part of the story. It was a holy place….a holy space that God had provided them. 2) What does it mean to be “fully human” to you? 3) What does that have to do with being “made perfect”? 4) What cup must pass from you so that you, too, may go to Jerusalem? Eat. Drink. Remember who I am. Eat. Drink. Remember who I am so you can remember who you are. Eat. Drink. Remember who I am so you can remember who you are and tell the others. Eat. Drink. Remember who I am so you can remember who you are and tell the others so that all God’s people can live in communion…in holy communion. This is the most difficult for us Protestant Christians, those of us who have chosen to spend the whole of our church year bowing before the “empty Cross”, the depiction of Christ’s Resurrection and the promise of our own salvation. And while I’m not willing to trade the large gleaming empty cross at the front of my own sanctuary and permanently replace it with a Crucifix, I think that we do miss part of what the Cross means if we choose to never enter the pain and the suffering that is Christ’s. In fact, Howard asks, “Where, suddenly, is the theology that teaches that because the Savior did it all, we thereby are reduced to the status of inert bystanders?” “And the people stood by…”—there it is again—that uncomfortable claim that we stand by and let Christ suffer, that we stand by and wait for Christ to finish up this whole messy ordeal, hand us a lily and a pretty bonnet, and invite us to joyfully sing “Christ the Lord is Risen Today” and go on about our business. The season of Lent, though, is about entering the experience of the Cross—the whole experience. Because how can one understand the joy of Resurrection without experiencing the pain and suffering and even the death of Crucifixion? The two cannot be separated. There are many people nowadays that describe themselves as “spiritual”, depicting it as something a step above “religious.” (Personally, I’m not convinced that the two can be effectively separated.) But there are those who would claim to be “spiritual” and not “religious”. Being spiritual goes beyond worshipping; it is a way of connecting one’s life with God. But the Cross is about going further. We Christians are not called to be merely spiritual; we are called to be incarnational. We are called to enter and bear all that is Christ—the pain, the suffering, the death, and, just when we think “it is finished”, the joy of rising to eternal life, to an eternity of oneness with God. If we are to truly understand what that means, we must, then, embrace the entirety of the message of the Cross. And so, perhaps, if only for awhile (maybe 40 days or so! 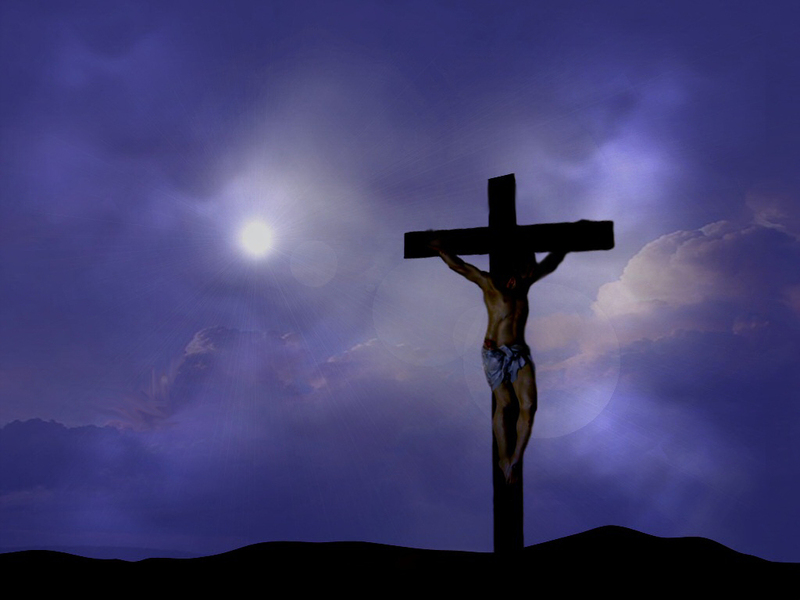 ), we should spend this Season of Lent truly looking at the “pre-Easter” experience of the Cross. You will be amazed what that Easter morning Cross, gleaming in the sunlight of a newly created day, looks like if you understand how God created it, if you have experienced all that is God. How comfortable are you with the “unempty” cross? In what ways do you allow yourself to be a bystander to the Christ experience? What, for you, does it mean to be incarnational? The shadows shift and fly. The whole long day the air trembles, thick with silence, until, finally, the footsteps are heard, and the noise of the voice of God is upon us. The Holy One is not afraid to walk on unholy ground. The Holy Work is done, and the world awaits the dawn of life. (Ann Weems, Kneeling in Jerusalem, (Louisville, KY: Westminster John Knox Press, 1992. ), 80. God of all Creation, It is you who walks with us to the Cross, you who goes on ahead and waits for us to see the beauty on the other side. Give us eyes to see where you are calling us to go. Give us faith to know that there is always an Easter morning after the darkness. Amen.